Mat Rentals helps owners and managers across all industries find the right commercial mat rentals company; while helping you save time and money. We work with a variety of commercial mat rental companies in every market segment throughout the United States, Canada and Australia to find the best possible suppliers in each region. The right mat rentals company must always deliver quality products, with personal service, all combined with aggressive pricing. Mat rentals works exclusively with these types of commercial mat rentals. All of the mat rentals companies we recommend have passed our rigorous prescreening process and we have contacted their existing customers for referrals. We understand that businesses require certain mats. This is why Mat Rentals offers individuals a free search service where we can locate the best deal for your business. You can utilize our search tools to find a quote on a quality mat service which has already been prescreened by us at Mat Rentals so you know you're getting service from a professional company that fits your budget. Any business owner in the U.S. and Canada can use our tool; whether you own a medical facility, gym, hotel, restaurant, salon, spa, or anything else. We take pride in acquiring reliable mat rental services that meet a variety of business needs. 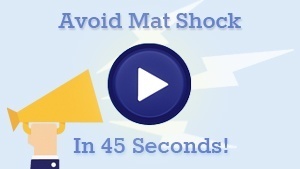 The right mat rentals company will arrive with punctuality and with the correct items you need. We strive to make it so that all you will end up having to worry about is how soon you can grab the phone and call us, or fill out our online form. It is so simple and easy that when you call us or fill out our online form, you can receive up to 3 quotes often in the same day! Contact Us.